My new trading and price guide app, MTG Trades, was just approved and is now available on from the App Store. This is a pretty fully featured 1.0, but please feel free to email me with suggestions for new features. 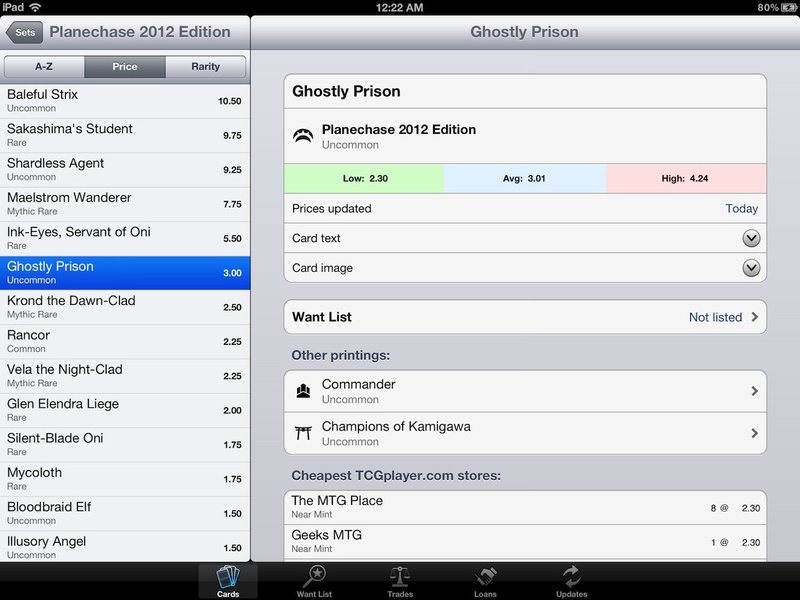 I’m going to iterate the design of the app based on user feedback, just as I have with MTG Guide. I’m excited to know what you guys think of it!